It shouldn't come as a surprise: I'm not a huge fan of ballpoint pens! Give me a solid fountain pen or a fun pencil and I'm happy, but ballpoints just never really seem to do the trick for me. That being said, I do appreciate the effort Diplomat put in this ballpoint version of the Excellence A Plus. It's a hefty thing, pretty top-heavy, as is the case with a lot of ballpoints, but it's very well-made and it actually looks quite good, especially when paired with the matching fountain pen (Of which I did a review here). 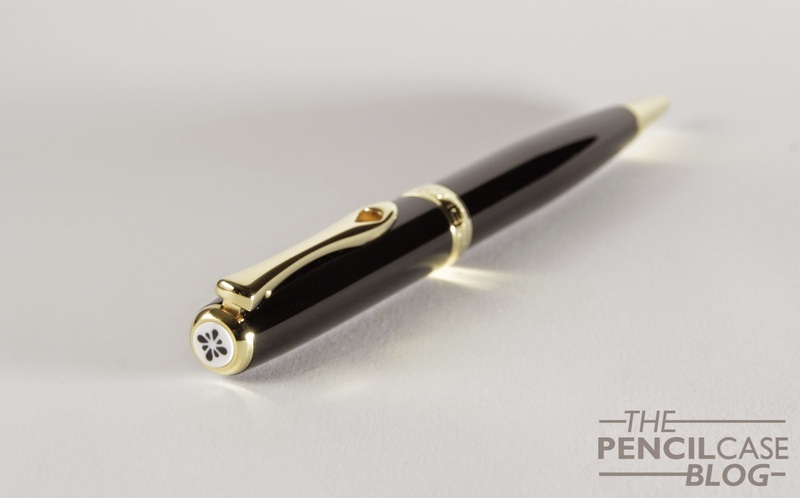 The Excellence Plus has a pretty standard form factor, as is the case with the Excellence fountain pens. 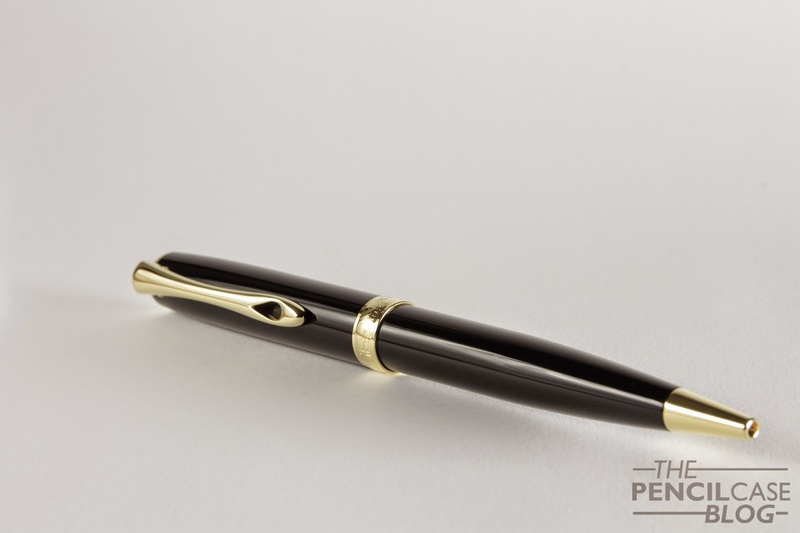 There's nothing wrong with going for a conservative looking pen though, as a design like this will probably never go out of style. Same as with the fountain pen, the Plus ballpoint improves over the previous version with a spring-loaded clip, which is a nice extra, although I'm not certain if it's worth the premium. 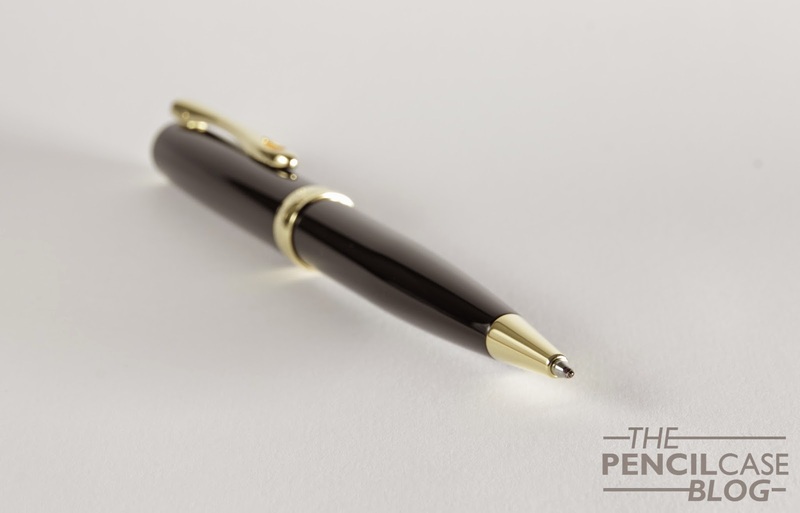 Whereas the Plus fountain pen added both the redesigned clip AND a threaded cap, the ballpoint pen doesn't. 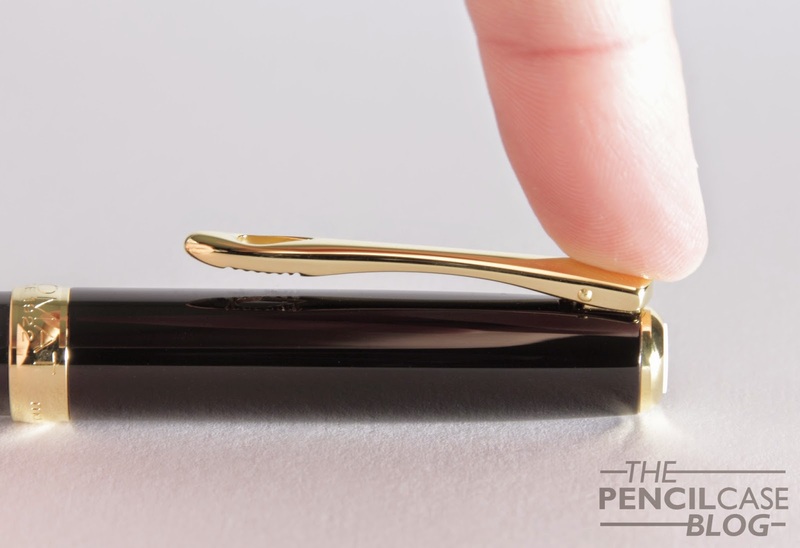 The new clip is the only difference from the older model, however you'll pay the same premium as with the Plus fountain pen. If you like to clip your pens to your shirt pocket or alike, this one might be worth the 30 or 40 EUR premium (The new clip is indeed easier to use. ), but I probably wouldn't bother spending the extra money on it. The twist-mechanism operates smoothly, and it satisfyingly clicks into place. Operating the mechanism one-handed is a bit of a stretch, but it's doable (Strangely, it requires a longer turn than the fountain pen to open, at about half a turn). The tip of the refill fits snugly through the nose cone, which results in little or no rattling noise when writing, it's a small detail, but it does show how precise the manufacturing process is. Diplomat goes for pure quality. When you hold this pen, or any other Diplomat pen for that matter, you'll see what I mean. Every Diplomat that passed my hands so far has been incredibly well made. Fit and finish are always spot on. Which, together with the sturdy metal construction, makes these pens extremely solid and durable. Whereas the fountain pen has a pretty solid, chunky grip section, the barrel of the ballpoint has quite a noticeable taper to it, which means it gets rather thin towards where I use to grip it. I wasn't blown away by the comfort when in use, wich might be partially to blame on the fact that I tend to write quite heavy-handed with ballpoint pens. It's also a rather heavy pen, which didn't really help either. After about ten minutes or so of continuous writing, my hand would become slightly cramped. I'm pretty self-conscious about the fact that I'm probably not the best person to review a ballpoint pen. I just don't use ballpoint pens all that often. And when I do use them, it's because of the convenience rather than comfort or writing experience. 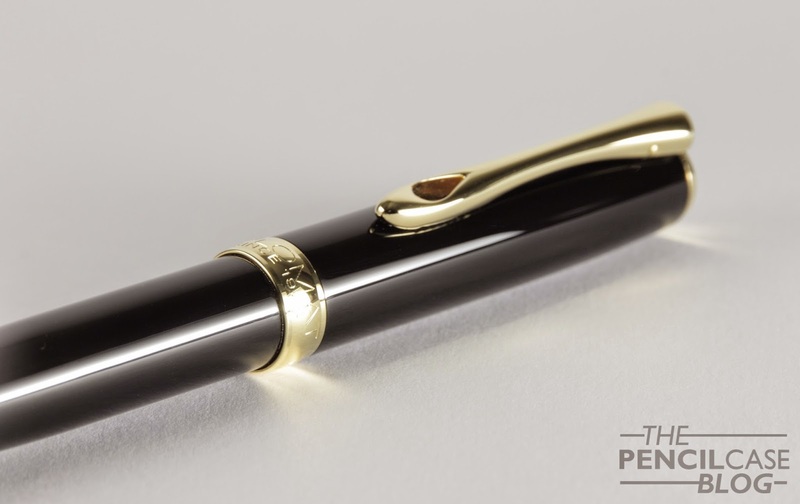 As with the Excellence fountain pen, you can clearly see that this is a high quality writing instrument, the amount of effort and thought Diplomat puts into their products is clearly noticeable. Personally, I don't think it can match the fountain pen price/quality-wise. At around 140 EUR /160 USD (estimated) it's a solid option, but it's not the best in its class. Ask me what to do with that kind of money, I'd suggest going for the Excellence fountain pen, even if it requires some more saving. But if you already own the fountain pen, and you want a matching ballpoint, regardless of the price, there's no reason not to go for this one. Going for one of the regular Excellence A pens is also still a valid option, it will save you some bucks and you get the same high-quality writing instrument! Note: this pen was sent to me by Diplomat, free of charge, so I could try it out and write this review. I was in no way influenced in the making of this review, nor was I monetarily compensated. The opinions shared in this review are completely my own!